What are the benefits of kiln dried ash? Kiln dried ash is the most popular species we sell and is the log of choice for people with log burners, fire places and woodfired pizza ovens. Kiln dried ash offers a fantastic heat output, it has relatively low moisture content when green and when it’s kiln dried this brings the moisture level to 20%, low moisture means an efficient burn because less energy is used to disperse the water in the log. Kiln dried ash is easy to light and burns with a bright flame and a clean burn, with very low smoke. Kiln dried ash is very popular, but why buy it over seasoned logs? Seasoned logs have been air dried to reduce their moisture level before burning. The level of water in a seasoned log will depend on how long it’s been dried for and is generally considered less reliable than kiln dried logs when looking at moisture in the log. If you have too much moisture in a log, it will burn less efficiently, produce more smoke and also as steam rises into the chimney or flue it combines with ash and soot particles and can coat all surfaces increasing the risk of a chimney fire. In contrast kiln dried ash has a reliable 20% moisture level and offers a clean burn with low smoke. Is ash the best firewood? Kiln dried ash is ideal for wood burners, open fires and woodfired pizza ovens. Kiln dried ash produces a high heat, it’s easy to light and it offers a clean burn with slow smoke. Ash is one is the most popular kiln dried log, but some people prefer oak because it’s more dense and so lasts longer or birch because it offers a nice fragrance when burnt. All kiln dried logs offer low moisture levels, around 20% and this is key for a high heat, chimney maintenance, low smoke and an efficient burn. Because kiln dried ash produces a high and steady heat, it’s the wood of choice for many customers that need logs for a woodfired pizza oven, this is closely followed by birch. 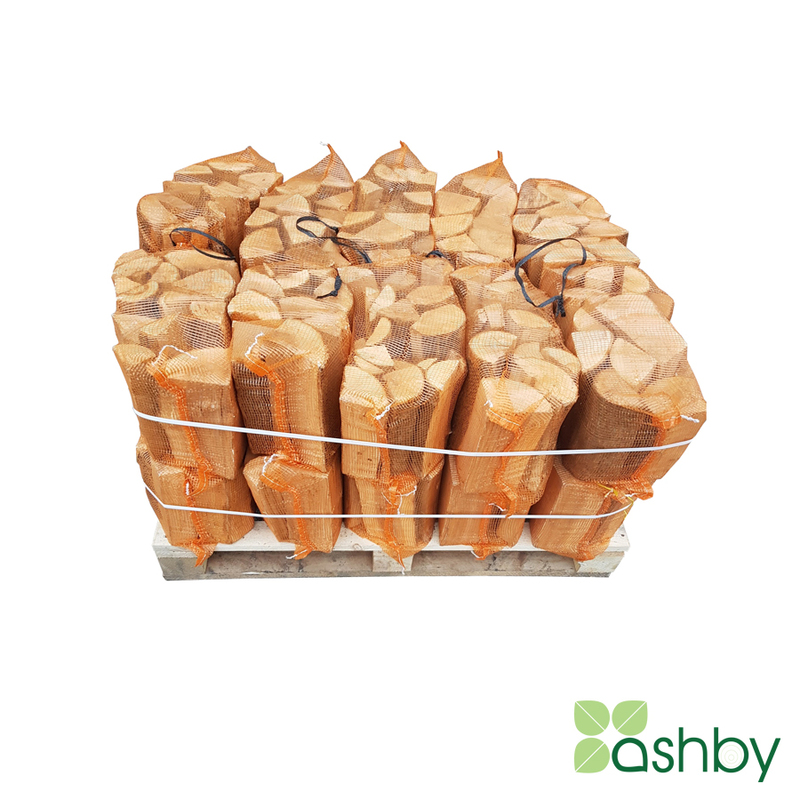 Some people like to buy logs locally, but Ashby offers next day delivery on a national bases. Ashby also offers free delivery with every crate we sell.